How do you reinvent the wheel, to capture afresh that which we’ve grown accustomed to seeing a certain way? Then, once you’ve wrapped your head around that small quandary, how do you cast a bold new light on scenes known just as intimately by those who see them every day as those who have only even seen them on screen? A desire to answer these questions is what drives The Inked Shooter – a Sydney-based builder-carpenter who (quite literally) moonlights as a photographer – onward and ever upward. It’s as apt a moniker as any for the thirty-year-old photographer, who also operates under the identity-obscuring mononym Beau and whose long exposure images of the world’s biggest cities pulsating after dark have struck a chord with legion followers around the world. 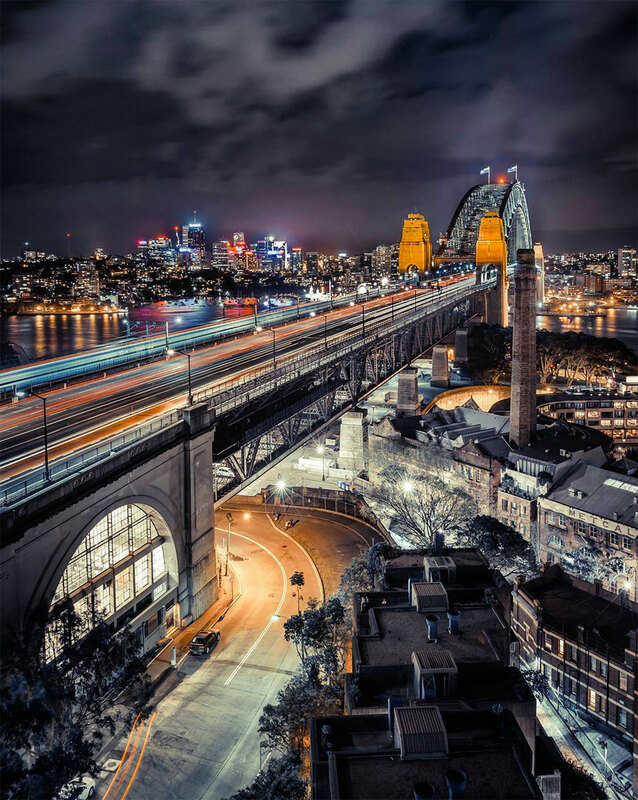 In Beau’s lens, Sydney’s inky streets are deserted not through bureaucratic design, for once; instead, iconic vistas are thrown into sharp relief by the brief moments either side of dawn. This is where and when, he says, his passion lies: in producing images that people wouldn’t recognise of scenes they’ve seen countless times before. Scenes so deeply ingrained into our collective consciousness as to be inseparable from our national identity, for better or worse. Like many in a new generation of photographers who’ve found favour online, Beau says he is self-taught and shoots not out of ambition cultivated over a lifetime but purely for the love of it. He cut his teeth taking pictures for his then-girlfriend – a fashion blogger – three years ago, harnessing natural light for street style portraits. Through trial and error he eventually found a style of his own, which just so happened to favour a different kind of street scene – one found after dark, often while chasing conditions other photographers would shirk from. And like even more who have come before him, it was in New York City that he fell head over heels for his newfound craft – and those heels have seen some heights since. Beau has jumped his share of fences in the past, but is quick is point out that he no longer needs to revert to legally dubious means to get the perfect shot. But, yes, those are his legs hanging over a precipice in the Blue Mountains, from Tokyo’s Rainbow Bridge and from a skyscraper in Bangkok. 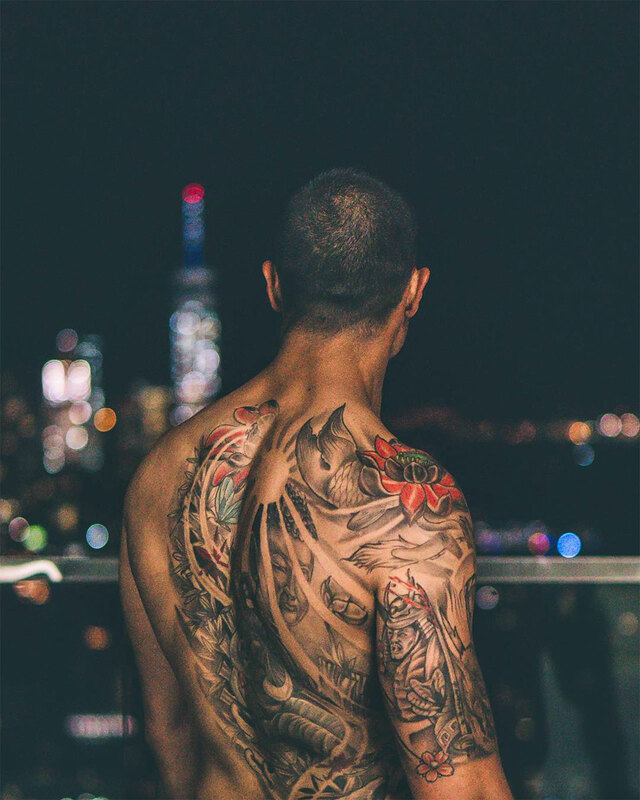 As for the ink – elephants and dragons, bamboo forests and lotus flowers feature prominently – they’re not unlike Beau’s photographs: indelible souvenirs from a time and place he never thought he’d find himself. 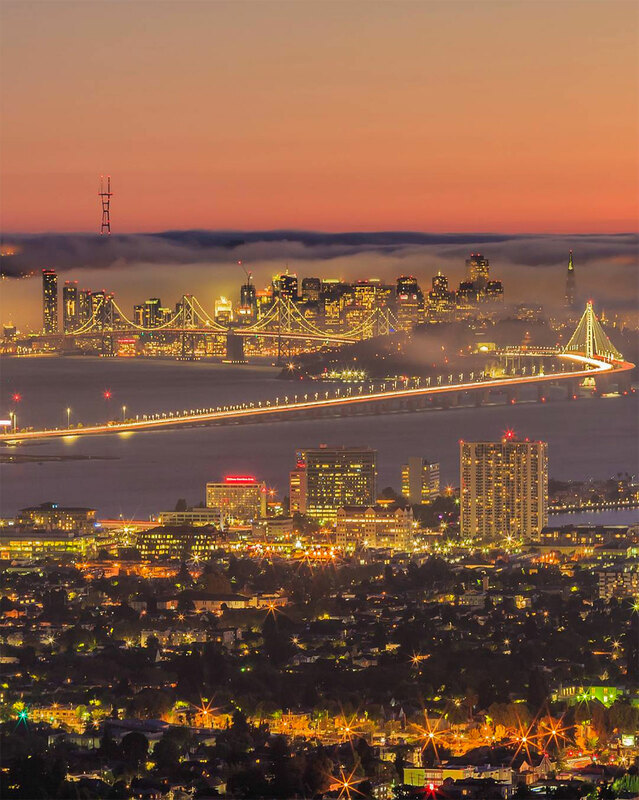 “I was watching the sun rise over San Francisco and it was completely engulfed in fog,” he recalls of a recent shoot.